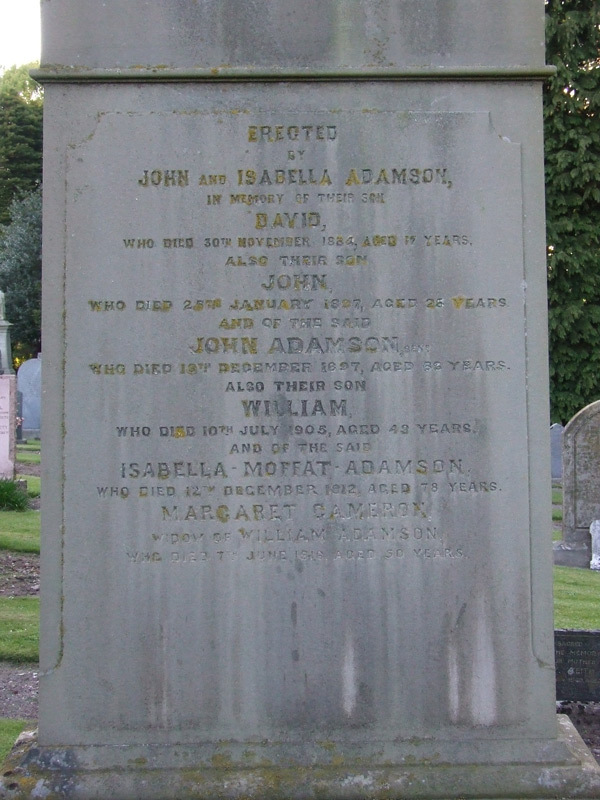 He was the son of David Adamson and Janet Gardiner Neave. 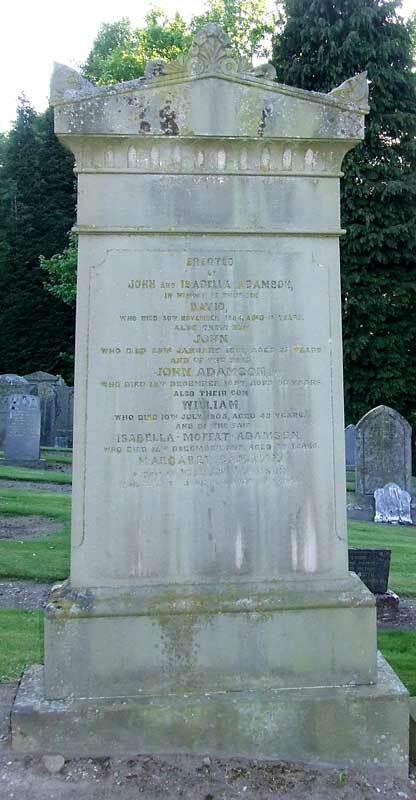 [S56] International Genealogical Index (IGI) (Salt Lake City, Utah, USA: International Genealogical Index), Scotland, Births and Baptisms, 1564-1950, index, FamilySearch (https://familysearch.org/ark:/61903/1:1:XB88-9BL : accessed 28 April 2015), John Adamson, 13 Jun 1834; citing , reference ; FHL microfilm 993,432 [Apr 2015]. [S50] General Record Office for Scotland, online www.scotlandspeople.gov.uk, General Record Office for Scotland (Edinburgh, Scotland), GROS Statutory Death 1880 Forfar ref 153 [Jul 2005]. [S50] General Record Office for Scotland, GROS Statutory Death 1882 Forfar ref 115, image held [Aug 2005]. 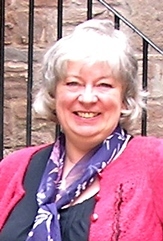 [S50] General Record Office for Scotland, GROS statutory deaths [Aug 2004]. 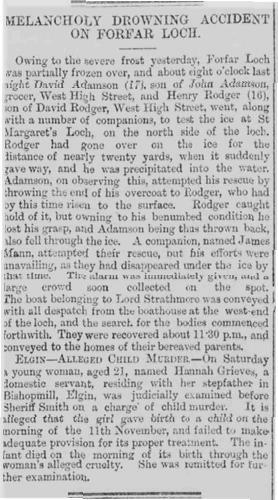 [S32] Newspaper Article, Aberdeen Journal 1 Dec 1884. [S50] General Record Office for Scotland, GROS Statutory Death 1897 Forfar, ref 18 [July 2008 (and from RL July 2005)]. [S50] General Record Office for Scotland, GROS Statutory Deaths 1897 Forfar image held [Aug 2006]. [S40] From Robert Langlands [July 2005]. [S49] Website Web Site online (www.) https://www.deceasedonline.com/servlet/GSDOSearch [Nov 2014]. [S57] General Record Office for Scotland, online www.scotlandspeople.gov.uk, General Record Office for Scotland (Edinburgh, Scotland), GROS Wills & Testaments 1898 Forfar Sheriff Court SC47/40/66 [Jul 2008]. [S50] General Record Office for Scotland, GROS Statutory Death 1912 Forfar ref 288/A0 0170 image held [July 2008 and from RL July 2005]. [S21] Headstone Photograph; , PCC Photographic Collection [May 2009]. [S13] Website FreeCEN UK Census Online Project (http://www.freecen.org.uk/). [S17] General Record Office for Scotland, online www.scotlandspeople.gov.uk, General Record Office for Scotland (Edinburgh, Scotland), GROS Census 1851 Forfar image held [Aug 2006]. [S17] General Record Office for Scotland, GROS census 1861 image held [Aug 2006]. [S17] General Record Office for Scotland, GROS census 1871 image held [Aug 2005]. [S17] General Record Office for Scotland, GROS census 1891 image held [Aug 2006].